Synopsis: A group of film students are being sent on a mission to shoot a documentary about the infamous haunted Hashima Island in Japan. When they come back something evil has followed them. My Quick Review: Went to see this one in my local theater the first week it was showing. I’m a big fan of Thai Horror and so far 2013 has been quite disappointing, with most of the movies trying to replicate Pee Mak formula. 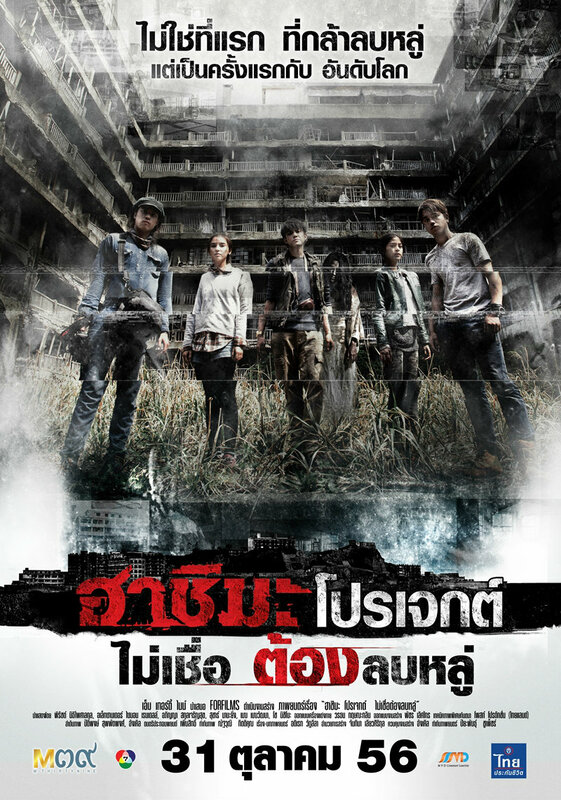 I was glad that Hashima project wasn’t another poor attempt at horror comedy and did come back to the roots of thai horror: ghosts and possession. Its a pity that the talent behind the camera does not quite match the one in front of it. From the trailer, I guessed, wrongly, that there would be a lot of found footage style scenes and the movie looks to be a good mix between traditional thai horror and found footage movies such as Grave Encounters. The problem is that the first half of the movie has a great real location but lacks any creepy tension that you might expect from such movies. There are some jump scares but they are not well timed and totally unoriginal. The second half goes more into ghostly apparition/possession stuff but again the director fails to create any kind of atmosphere and we are left watching the unfolding events without any emotion. i would like to recommend The Eye 10. Have you watched it yet? I haven’t watched it yet. I only watched the first 2 movies. Is this one better than The Eye 2? I’ll try to get my hands on it.